SAN FRANCISCO – The grieving families of 36 people killed in a Northern California 2016 warehouse fire who helped scuttle a plea bargain may now see their demand for a jury trial granted. 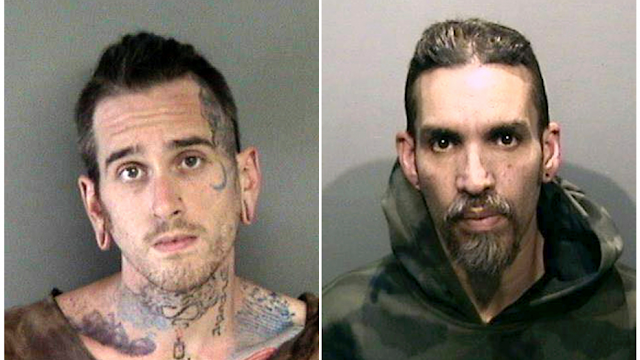 After hearing two days of emotional testimony last week, Judge James Cramer said he couldn't accept a plea bargain agreed to between the Alameda County district attorney's office and lawyers for Derick Almena and Max Harris, each charged with 36 counts of involuntary manslaughter. On Thursday, The Associated Press obtained a letter District Attorney Nancy O'Malley sent Cramer informing him that she was cutting off talks with the defense lawyers and that prosecutors would not negotiate a plea deal with Almena or Harris. She also asked for Cramer to set a trial date as soon as possible. Lawyers for Almena and Harris said there's a possibility that they could work out a settlement with Cramer despite the district attorney's stance. But they said it's more likely the two defendants are going to stand trial. Almena and Harris are scheduled to appear in court on Friday for the first time since Cramer scuttled the plea deal, citing Almena's lack of remorse. A trial date could be scheduled then. O'Malley told the judge in a letter she sent to the court Tuesday that the families' testimony last week led to her decision to halt settlement negotiations. Many of the relatives also demanded that the two men stand trial so they could learn more about how and why their loved ones died. Investigators have been unable to determine the cause of the Dec. 2, 2016 fire. O'Malley said "having heard the words and seen the pain of those profoundly impacted" convinced her that the two should stand trial rather than resolving their cases with a plea deal. "The grief of the families, the pain and shock of the community by the senseless and tragic deaths of 36 individuals caused by a fire that roared through the warehouse is as strong and deep today as it was in December 2016," O'Malley wrote. "These lives were lost at the hands of the two defendants." Almena rented the Oakland warehouse and illegally converted it into an underground live-work space for artists and an entertainment venue called the Ghost Ship. Almena hired Harris to help manage the facility by collecting rent, booking concerts among other duties. The negotiated settlement called for Almena to accept a nine-year prison sentence and Harris to receive a six-year term. Both men likely would have been released after serving half their terms with time off for good behavior. The proposed deal had been brokered by another judge who accepted the men's no-contest pleas in July and was expected to uphold the agreement when the pair appeared in court last week for formal sentencing. But that judge was unavailable and Cramer was assigned to preside over the two-day hearing. As it ended, Cramer said Almena failed to adequately express remorse and that he would not uphold the plea deal. Cramer cited a letter Almena wrote probation officials where Almena said that he and his family are also victims of the fire. In a jailhouse interview with KGO-7 on Tuesday, Almena said the judge quoted "out of context" a passage of a 21-page letter. "If you take anything out of context, you can twist it around and make it seem like it was about me," he said. "This statement was about everything. I have been remorseful on this since the moment this happened." Cramer said he believed Harris was truly remorseful and that the "deal is fair." But since the plea bargain was a package deal, he said he had no choice but to reject Harris' proposed sentence. Harris' attorney, Tyler Smith, said he hopes that Cramer will ultimately decide to sentence Harris to six years in prison despite the new objections raised in the district attorney's letter to the judge. O'Malley told the judge she now opposes the six-year sentence because "victims' families strongly disagree" with it. Smith and Almena's attorney Brian Getz both said they will seek to move the trial to another California county because both men admitted their guilt before the plea deal was rejected, developments widely publicized in the region. Each man pleaded no contest 36 separate times last month and both made incriminating statements last week during the sentencing hearing, with Almena saying "I'm guilty" several times. "All of that got reported," Smith said. Getz said asking for a change of venue does come with risks and the trial could be moved to a politically conservative court where the tattooed artists' appearance and opinions could negatively influence a jury. But Getz said it appears defense attorney have no alternative. "I don't think it's possible for Derick to get a fair trial in Oakland," Getz said.